Dimension: approx.17.32"-18.1"/ Perimeter:14.96"-15.74"(Garter Set includes one for tossing and one to keep). MATERIALS: Elastic white Lace,Beaded rhinestone. 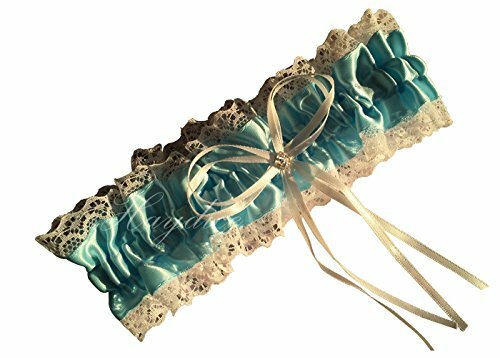 QUALITY:These beautiful garters come with high quality ,handmade chiffon or satin flowers and lace, beads,rhinestones. OCCASION:You could wear these elegant garter set in any occasions. (Weddning or Party). FEATURE:These lovely bits of lace allow the bride to keep her own fancier special version of the garter and toss away the other one. If you have any questions about this product by Haydice, contact us by completing and submitting the form below. If you are looking for a specif part number, please include it with your message.